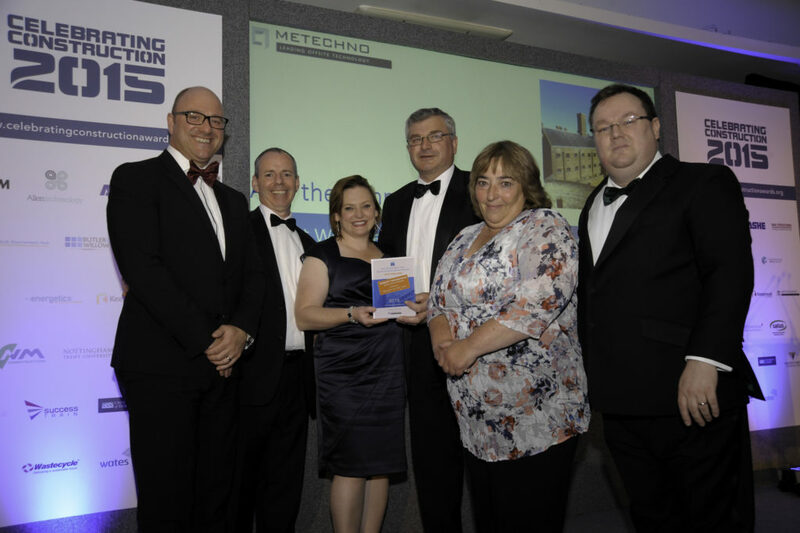 Heritage and conservation specialists, Woodhead Heritage is celebrating after scooping three top awards at this year’s Constructing Excellence Awards in the East Midlands. The Constructing Excellence Awards recognise the very best companies, collaborations and projects sharing best practice and inspiring others to adopt new and better ways of working, that deliver outstanding results. Over the past year the company has worked on a range of projects including the multi award-winning Heritage Lottery funded Lincoln Castle Revealed project, which saw Woodhead Heritage conserve the castle walls, restoring the prison and creating the David PJ Ross Magna Carta Vault as a new home for the iconic document in time for its 800th anniversary. – nearly 97% of the Castle walls are still original. Heritage and Conservation Manager at Woodhead Heritage, Simon Butler, said: “We’re delighted to have again been recognised for our work on the Lincoln Castle Revealed project. This has been a huge undertaking for our Heritage team, but a rewarding one. One of the greatest achievements within the project has been the relationship we have had with our client, Lincolnshire County Council, without which I don’t think the project would have been so much of a triumph. The Awards also recognised Michael Broadhurst of Woodhead Living as the Young Achiever of the Year.